Growing lovage can reach 3 ft to 4 ft (90 - 120cm) in height – it is leafy like a flat parsley and has hollow stems. It’s a hardy perennial and will survive most harsh winters. It tastes yeasty and both leaves and seeds are used in a wide variety of dishes. Just experiment with anything cheesy/savory, the stalks can be cooked like celery or candied like angelica. 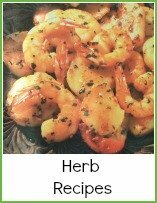 It's a great herb to use if you need to cut salt from your diet as the savory taste means you can leave salt off. Add a few leaves to spinach, cabbage and similar greens to lessen the need for salt. It is part of the yeast extract called ‘Maggi’. It has cosmetic and medicinal uses – from a natural deodorant to improving circulation and stimulating kidneys. It is reputed to be helpful in heart conditions. Lovage will grow in any soil, but avoid a heavy clay if you can – if that’s your soil type, then add compost at planting time. Any reasonable soil and spot will do – a really easy plant. Sow seed in late summer and then transplant the following spring to 4 ft apart – it depends on how many uses you find for lovage, but it is a large plant and one will generally do for a family. It’s possible to sow in spring, but the seeds loose their germination power, so it’s best to sow in late summer/early autumn. Keep free from weeds and remove flowers to encourage more leaves to grow. Don’t cut the plants too far back on the last harvesting of the season. Use the leaves as you need them. You can freeze or dry the leaves for winter use. Harvest the seeds in late summer/early autumn and dry and store in airtight jars. If you want to use the roots, then harvest in mid autumn or spring. 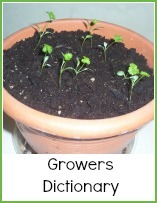 It’s not a suitable plant for growing indoors but you could try by taking one of the seedlings. 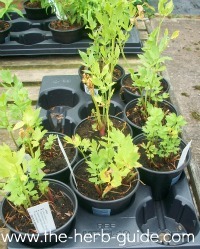 Put it into a small pot and keep it cut back – if you’re using lovage a lot for cosmetic or medicinal purposes, then I would imagine it’s worth a try – don’t let it flower and it should continue to grow. If it’s too large for the house, then try a greenhouse or porch if you have one. Put this plant into the garden in mid spring and let it recover. If you’re lucky enough to inherit a herb garden and you’ve got lovage growing there, you could have one or two problems. They self seed and are quite likely to have taken over – thin out the plants to one per four feet (120cm) square. Weed the area well, give it a dressing of compost and then just keep well watered – the plants should reward you with vigorous growth. You can plant up the surplus and perhaps it’ll be the start of your backyard market garden. 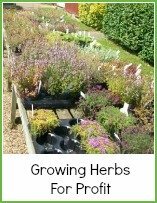 See growing herbs for profit.